Mrs. Dipa Agarwalla is my friend's mother, whom I've known for years now. It's heart breaking to watch her go through all the sufferings. My name is Dipa Agarwalla. 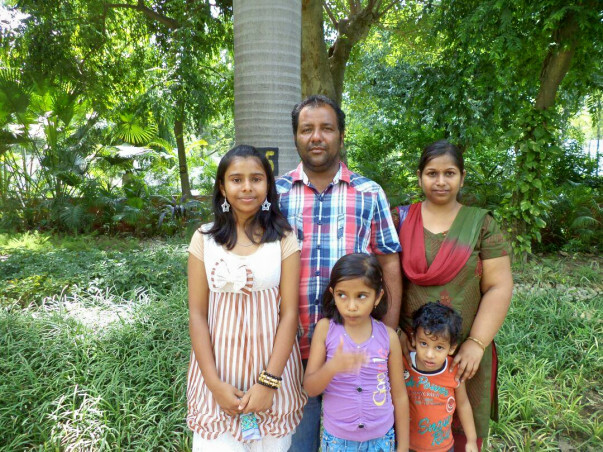 We are a family of 5 members which includes my husband, two daughters and a boy. I have been fighting breast cancer over the last three years.My husband works in a hardware shop. My son who is 10 years old also has hearing problem. My husband being the sole earner can't bear the expenses of me and my son. So, I request you all to extend me help. It was first discovered in 15 January, 2015 through a Biopsy Testing at Bombay Hospital at Mumbai at my right breast at the third stage. 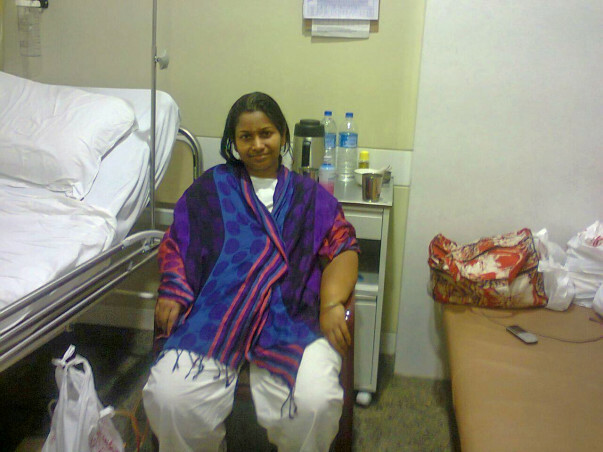 On 18 January an operation was conducted by P. B DESAI at BOMBAY HOSPITAL.My right breast was removed. Actually, due to some problems I have to move to my hometown Golaghat after 6 days of my operation as a result I had to get my stitches out in Golaghat. The stitches were actually cut before it dried properly. It increased my infection. 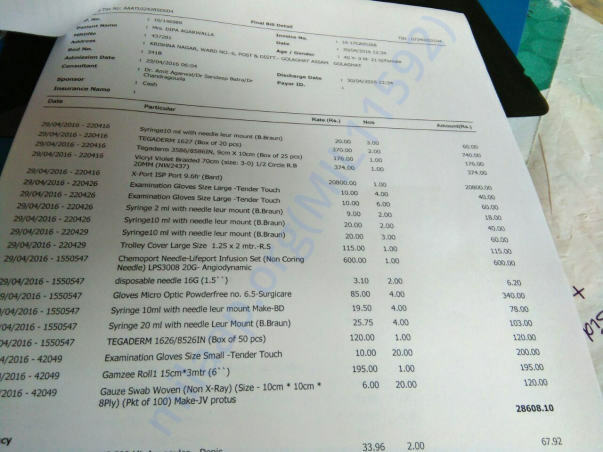 Then I had to go for SKIN GRAFTING at GUWAHATI at MARWARI HOSPITAL and RESEARCH CENTER which was done by Dr. S. AGARWAL on 2 March. 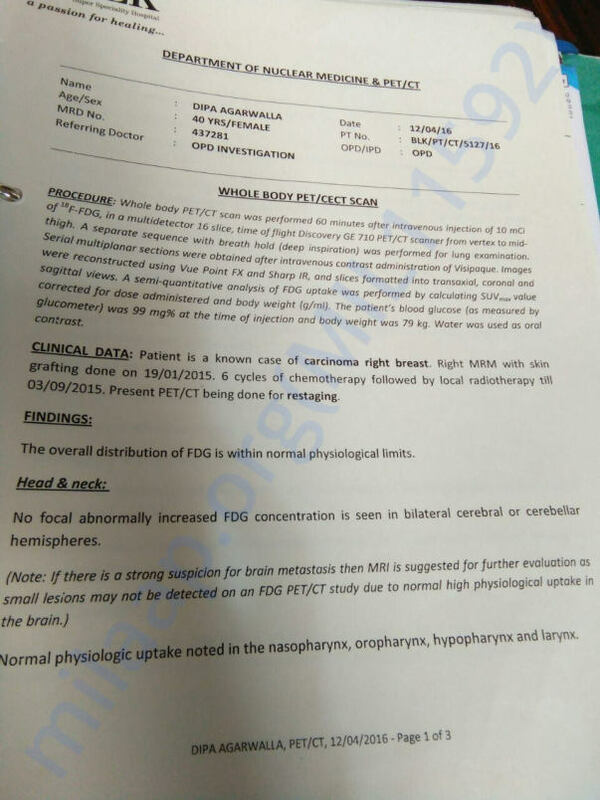 Then I had to start my CHEMOTHERAPY on 28 April till 22 July where I had to take 6 CHEMOS at JORHAT by Dr. BIHARI AGARWAL at SATYAM HOSPITAL AND RESEARCH CENTER followed by RADIOTHERAPY at GUWAHATI. I had to take 15 RADIATIONS starting from 13 August to 3 September. I was having regular blood test once in a month and everytime the report came normal. 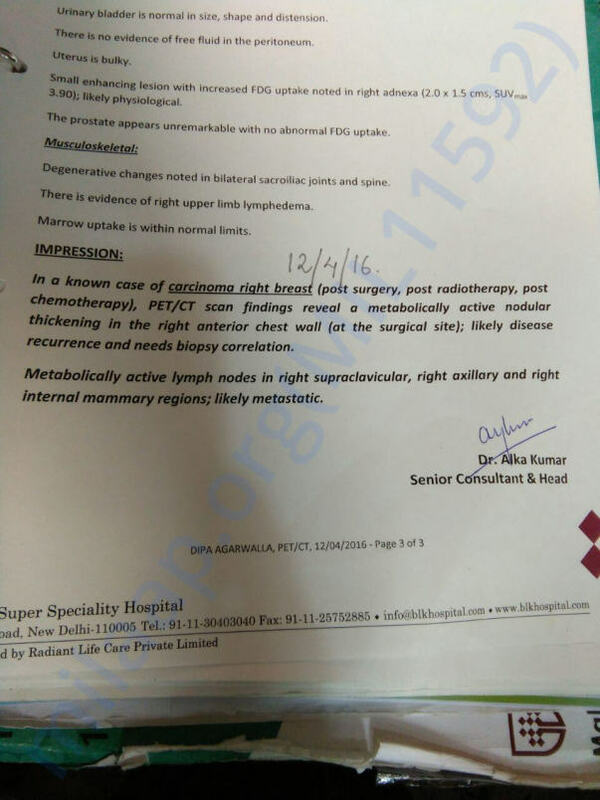 Dr. BIHARI AGARWAL recommended PET/CT to verify if I am fully cured. 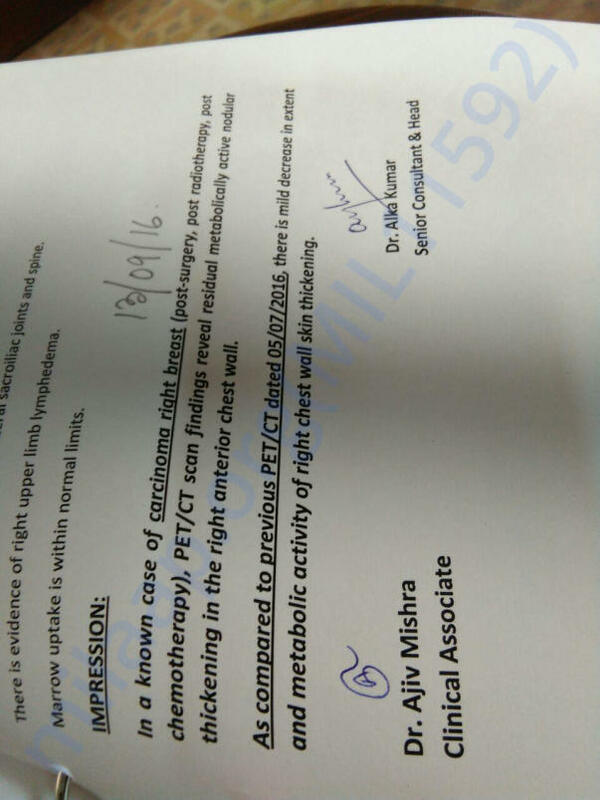 On 12 April I did my first PET/CT at BL KAPOOR,DELHI by Dr. CHANDRAGOUDA. The report revealed that it started spreading and increasing. Again I had to start my 3 cycle CHEMOTHERAPY by Dr. ANUPAM MAHANTA at GUWAHATI. 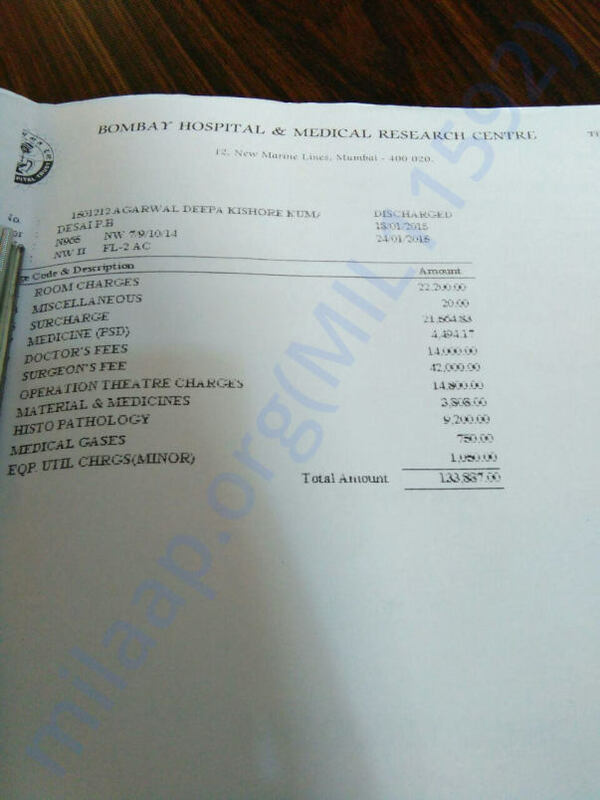 DISPUR POLY CLINIC AND RESEARCH CENTER ( COSTING Rs 30000 EACH).Only 5 JULY 2016 I did PET/CT at DELHI BLK HOSPITAL. The report showed a little decrease than before. On 7 JULY I took 3 cycle CHEMOTHERAPY at GUWAHATI by Dr. ANUPAM MAHANTA. On 13 September I again did my PET/CT and it showed little improvement. Then Dr. ChandraGouda recommended to stop taking Chemos and take tablets instead. Tablets were XELODA 500mg .I had to take 4 tablets each day. On 4 February 2017 tablet course was completed. 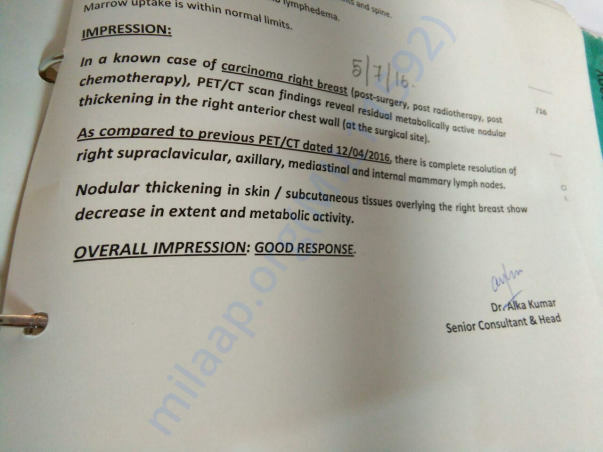 On 8 February, I did my PET/CT at Delhi BLK and the report shocked me. It showed excess increase & started spreading in my left breast. 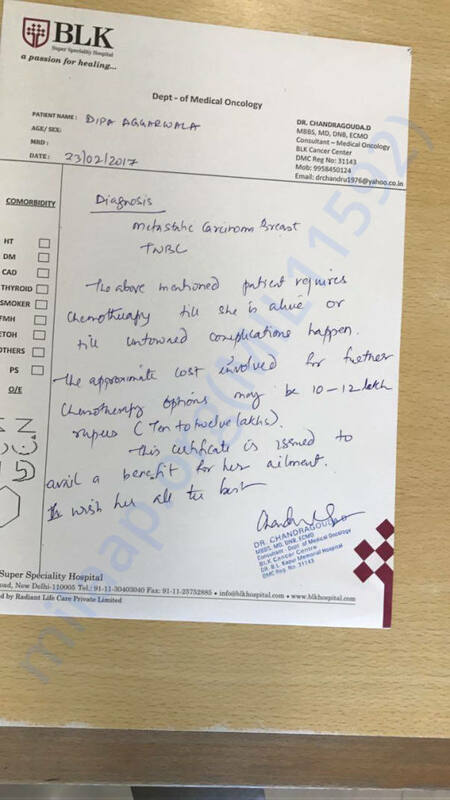 As recommended by the doctor, the treatment would continue for more 4 months. In order to adhere to the same I would need to bear expenses around 12 lakhs which I can't bear on my own. Dr. ChandraGouda is handling my medical case. I've to again continue the chemotherapy cycle. This mother of 3 children may not survive without your help.So it's my heartfelt request to extend her help in any amount possible. 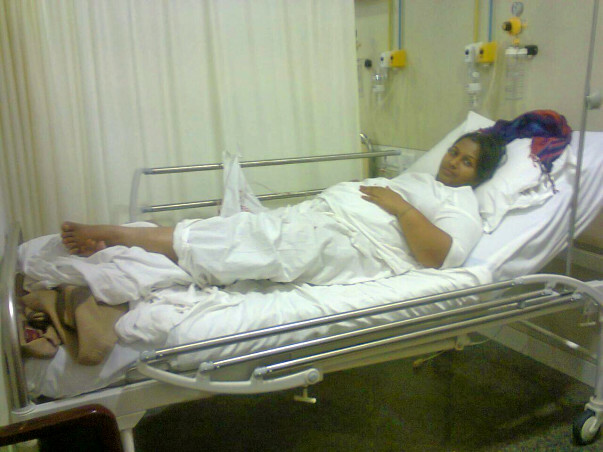 All your prayers & funds will help me her recover and get back to a normal life. Thank You to all the kindhearted people who have donated. 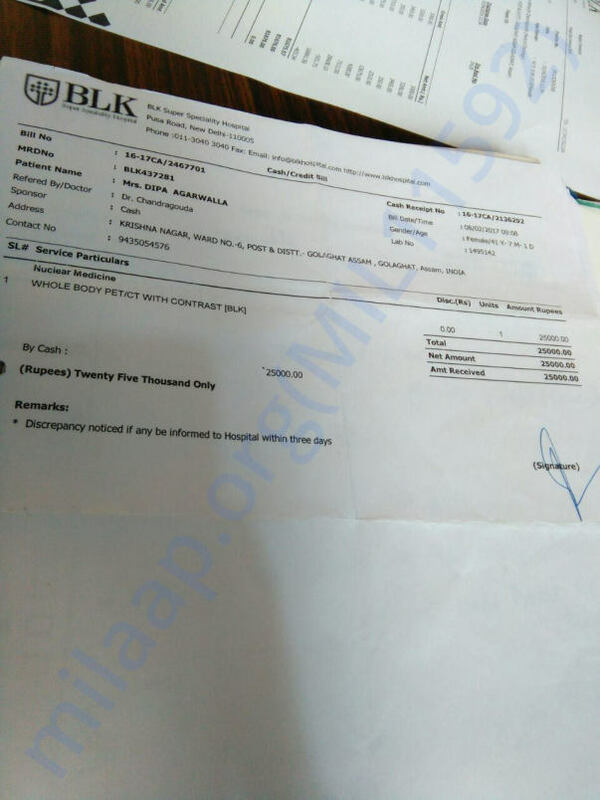 This is a late update as we could not gather the required fund at that time, on this platform, so the family of the patient didn't check here and arranged the funds somehow on their own. The patient received her chemotherapy sessions and now is doing better than before. However the treatment is still going on and but thanks to God she is out of danger as of now. The patient's family still needs to repay the funds they borrowed and also need to pay for the ongoing medical treatment. So, they have decided to withdraw this sum of money in order to get a little help with the current medication bill. Once again thanks to all the donors for the help. Here is an update on Dipaa's health. 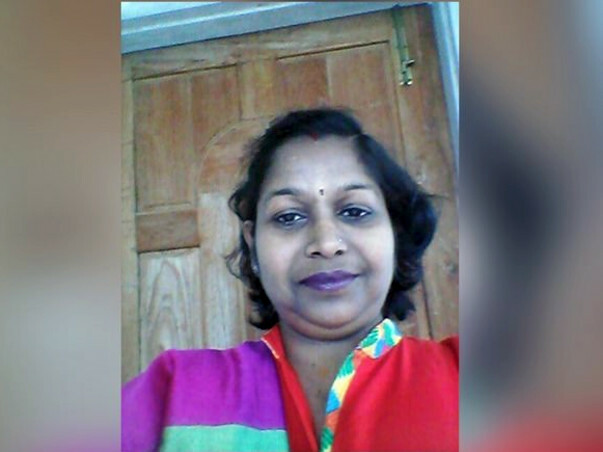 Dipaa was undergoing chemotherapy for her breast cancer but as it was affecting her blood count, the doctors have advised her to stop it for a few months. The blood in her body drops considerably after her chemotherapy. She will be on medications for approximately 2 months after which the doctors will do a test and take action on the same. 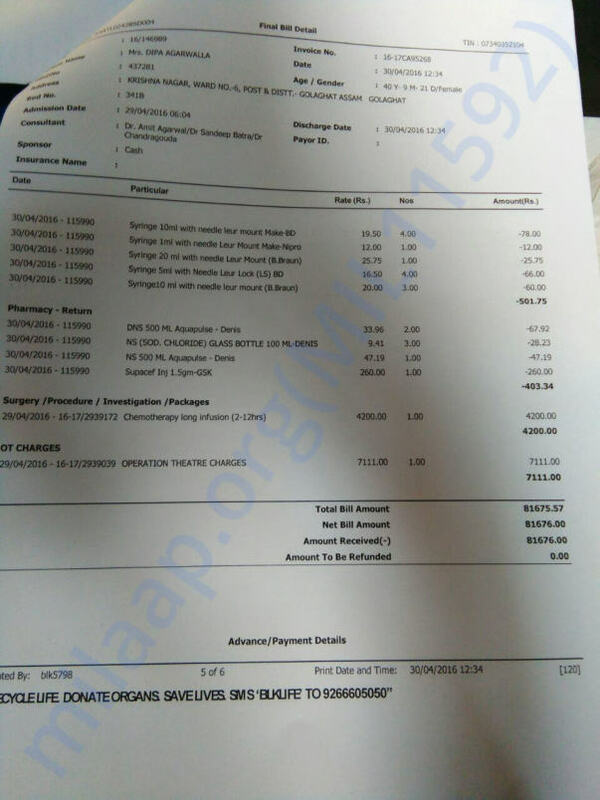 The blood transfusions are very expensive and after getting 6 units of blood, Dipaa cannot afford to go for another one right now. She is at home and recovering slowly. Thank you for coming forward to help us. Please pray for her recovery and keep sharing the campaign with your family and friends. She will be cured definitely. Please provide her with the required treatment urgently.